Of our five senses, we think our sense of smell can be most transportive. A scent can take you back to grandma’s kitchen, a tropical vacation, or just a special, peaceful moment. And although you may not be able to see a scent, scents do play a role in interior design. A steve mckenzie’s interior wouldn’t be complete without a signature smell that reflects the space. That’s why we’re thrilled to have partnered with Juls Candles – a candle atelier located just north of Atlanta in Suwannee, Georgia! The scents Juls creates are absolutely extraordinary and the love and care she pours into each item is absolutely evident. 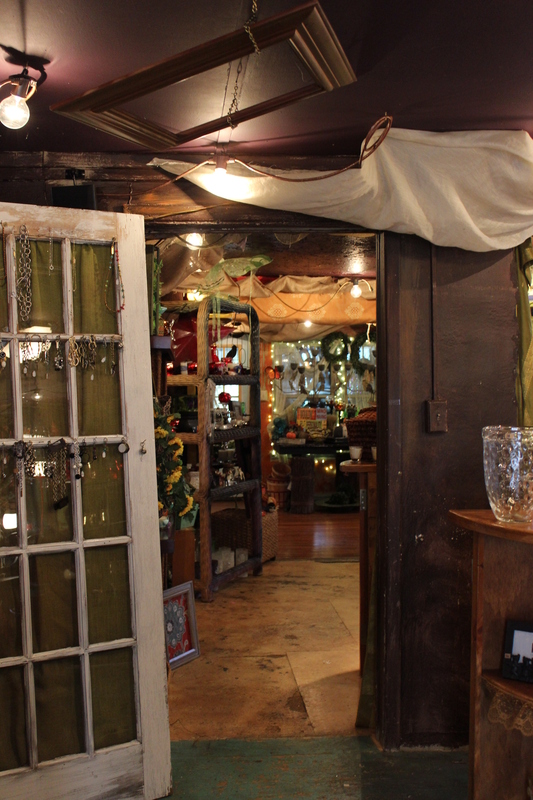 Jill stumbled upon Juls Candles back in 2002 while driving near our old neighborhood one day and couldn’t pass up the old, quirky farmhouse, which is constantly surrounded by eclectic garden items, without going in. And we’re so glad she did! An immediate affinity for the gal behind this unique shop, Julie “Juls” Green, was obvious and an appreciation for her fine candles wasn’t far behind. THE Juls behind Juls Candles! A true artisan, Juls spends countless hours crafting unique blends from perfume grade oils – the purest essential oils available for candle-making. A glimpse into Juls Candles’s shop and studio. Ever so eclectic! When she lands on a winning smell, Juls works on an assortment of candles ranging from tiny votive candless to large, custom pours using special vessels brought in by clients. What began as a hobby for Juls, progressed to a basement-based business, and has now bloomed into a full-fledged candle making operation! Just-poured votive candles in Juls’ studio. It’s no surprise Juls’ business has flourished. More than 12 years ago, Jill was an early customer of Juls Candles, and now we’re fortunate enough to work with Juls to create candles and soaps in her addictive scents, just for steve mckenzie’s! steve mckenzie’s offers Juls Candles scents in both medium (8oz) and large (13 oz) size jars. Black Tie – Steel Magnolias, sun kissed Raspberries and ripened Georgia peaches. Twisted Sage – Year round Sage and a twist of Citrus. Not too floral, not too sweet, just down right clean. Georgia – Rendered by the Romantic hills of Georgia; Tangerine, Sage, and a splash of Fir, Balsam and Pine spiced infused with a hint of Tobacco. China Rain – Rain drops glisten over a field of wildflowers dancing in the breeze. Fresh and Peaceful. 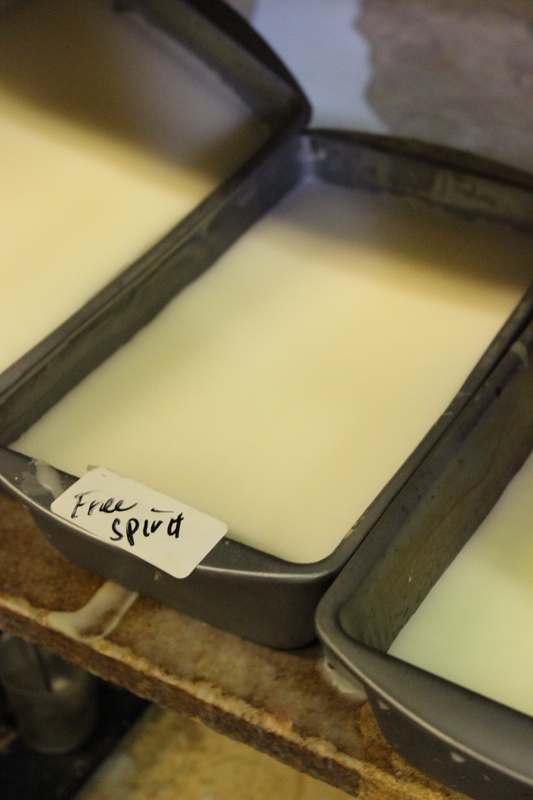 A freshly-poured tub of Juls Candles’ Free Spirit scent, coming soon to steve mckenzie’s! 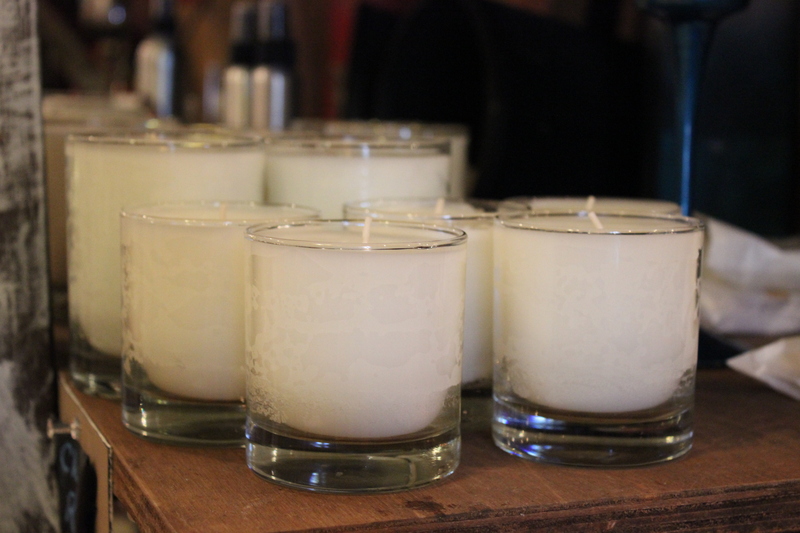 And… coming soon to steve mckenzie’s, Juls Candles’ Free Spirit (Mint leaves drenched in Jasmine and pine. Bring the outdoors in.) and Man Cave (A place of peace and pleasure… Patchouli oil 60’s style. Sandalwood and Sage bring unisex style and a spa-like feel to any room.) scents. Come in soon to smell them for yourself! Handmade, hand-cut soaps from Juls Candles are also available at steve mckenzie’s! In addition to all of the wonderful Juls Candles available at steve mckenzie’s, we are also thrilled to offer handmade, hand-cut soaps in the same assortment of scents as our candle collection. Talk about luxury – each time you lather up, you’ll be transported with these fabulous smells! Twisted Sage candle, by Juls Candles, available at steve mckenzie’s. Check out the various Juls Candles products we offer on our website, or stop in today and pick up a little something special for yourself, or even as a gift. Don’t forget, we do gift wrap in-store, and these are an ideal surprise for someone deserving in your life. If you’re interested in learning more about not only the transformative ability of scents in a space, but also the power of great interior design, reach out to the McKenzie Interior Design team today and get your project started! Next Suburb to City… We’ve made the move!